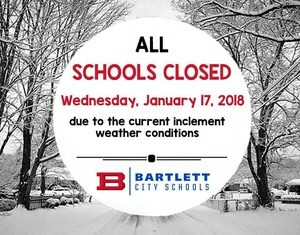 Bartlett City Schools will be CLOSED on Wednesday, January 17 due to the current weather and hazardous road conditions. Please continue to check our website, Facebook page, or twitter for updates. Our Central Office will have a delayed opening and will open at 10:00am. 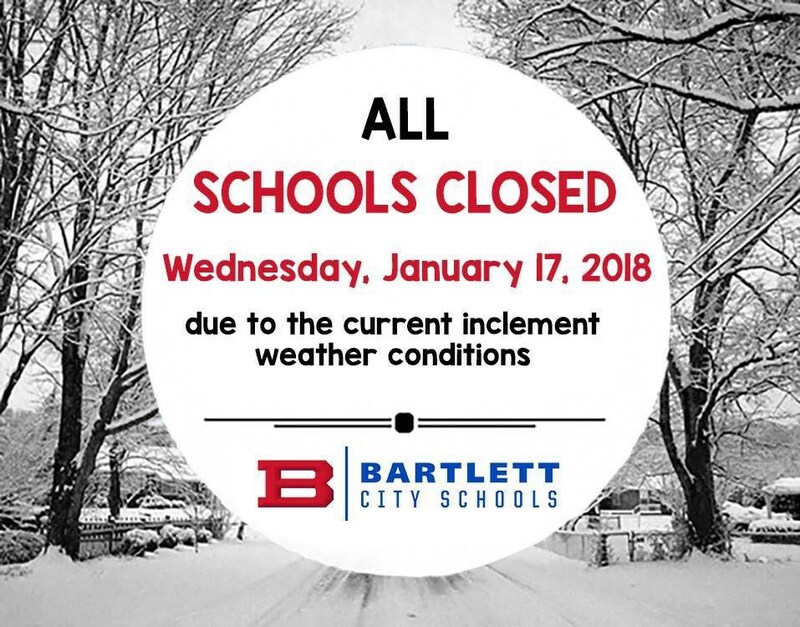 Enjoy another snow day and try and stay warm!